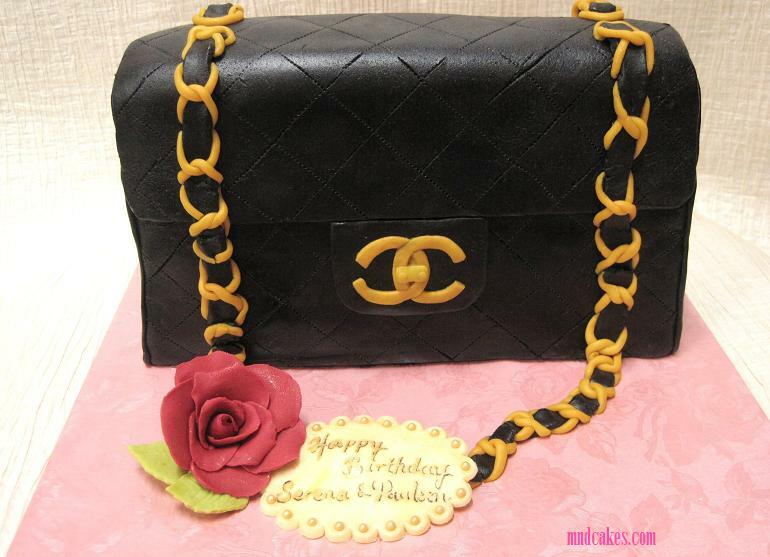 It's a 3D fondant cake, it's Chanel 2.55 in black. I didn't really know about Chanel models, when I was told 2.55, I thought what was it? A measurement or what? It's a model actually. Luckily, I was given a picture as sample. I told myself, it's simple, not that difficult, I could do it. But it was not the case. 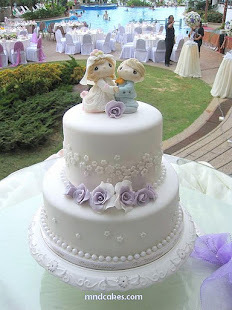 I faced one of the most difficult challenges in my cake decorating journey thus far. The making of Chanel 2.55's chain like belt was much tedious than I had imagined. Happy birthday to Serena and Pauleen, yes, this bag was meant for two lovely ladies.